Born in Chicago, he grew up in Palo Alto, CA where he attended Palo Alto High School. He enrolled at U.C. Berkeley in 1951 majoring in Mechanical Engineering. After three years at Berkeley, he joined the Army where he was trained in electronics. He served in the Army for two years, one of which he served in Europe. He finished his Engineering degree and then went to graduate school in Arizona at Thunderbird School of Global Management. Thunderbird is a specialized school where he majored in International Marketing. His first job after graduate school was with RCA International Division, headquartered in New York City. They had offices in New Jersey and he was assigned to a training program spending five weeks at each of five different divisions where he learned about the electronics industry. One of the five-week stints was in semiconductors in Somerville, New Jersey; one of which was in computers. He then joined Beckman Instruments in Southern California in a systems division that did wind tunnel data acquisition where he was in the sales and marketing side of the business. He then joined General Electric Company as a Field Engineer in Germany for a couple of years where he installed command and control systems for the U.S. and German Air Forces. 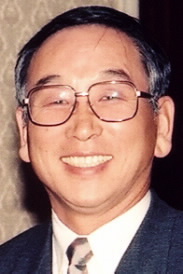 Early in his career he worked for Tokyo Electron Ltd. as General Manager of the Diffusion Furnace division, where he played a key role in introducing U.S. semiconductor equipment technology to Japan. He was instrumental in founding the Japan operations of SEMI in February 1985 and served as SEMI Japan President until his retirement in 1994. In 1997, he helped establish the Society of Semiconductor Industry Seniors (SSIS), a group of retired Japanese semiconductor industry leaders who were intent on transferring knowledge to young engineers. In 2003, he received the SEMI Bob Graham Award for Excellence in Marketing, recognizing his efforts in securing international co-operation during the period of trade friction between the U.S. and Japan.